a.k.a. this is why catalogue scans are important. Yes that's the old Jurassic Park cover art too. And Robocop vs. Terminator. Huh. The box says Sonic Pinball but the text beside it simply calls the game "SPIN BALL" (no "Sonic" at the start). This isn't a reveal of info but more a curiosity. I was playing Sonic Adventure today and couldn't help but notice all the classic Robotnik design references (the Eggman logo, the Eggman plaques in Final Egg, the whack a mole Eggmen) and it made me wonder just how late in development did they redesign Eggman? I always saw that as more of a design choice than a late redesign. Kind of like seeing the classic version of the characters in Casinopolis. Note how his 'stache fans out at the tips, just like Modern Eggman; note also, the scrawnier arms and better defined shoulders. I get the impression the Modern redesigns were the result of wanting extremes for the characters but with a lacking ability to satisfactorily apply the other animation principles they just decided to have them all permanently exaggerated. (or not; though it'd explain those stretching effects found in the Sonic World portion of Sonic Jam). Prototype Sonic 3D Saturn footage. Not sure where it's from yet, but massive gaping holes in the special stage. Special thanks to Tongara who has highlighted the source. I really need an army of people to come in and mirror all of the relevant videos on (Sonic/Sega) Retro (CDN). Rez back when it was still "K Project". Metropolis Street Racer, back when it looked awful. X-Women, back when they thought they might actually release it. Sonic Chaos doesn't really have a story. It's basically "Sonic 3 but not really" - you're not meant to think about it. Surely the nuclear lasers would fit better in Atomic Destroyer from the sequel? 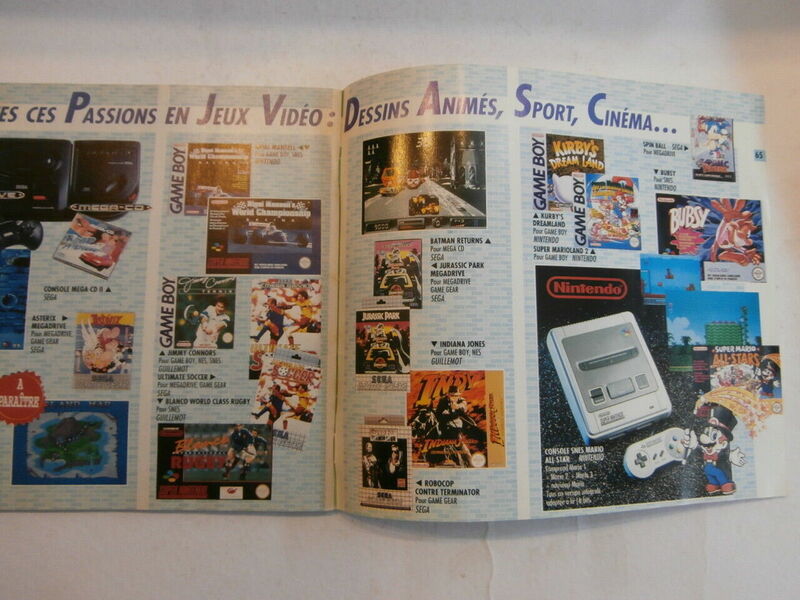 It's looking like Sega (or at least Sonic 2) sponsored the TV channel Canal+ in 1992. These two videos have been on YouTube for a while. It's a bit of a challenge to find information on this, given that Canal+ is huge (and "canal" is French for "channel").